The Problem: Silgan Containers was implementing new software and transitioning all employees to a new Human Capital Management system. Silgan needed training material on Workday and microlearning content reflecting processes that would be frequently utilized. They also required that the training solution be uploaded into a custom Cloud LMS with different mediums for online and in-person training. The Solution: The iLearnERP team developed job aids, QRC’s, and videos to help Silgan’s HR Administration navigate the relational architecture of the Workday platform. Each job aid, QRC, and video acts as microlearning content on the necessary processes that will move Silgan employees to Workday over a two-month span. The iLearnERP team also developed content for Instructor Led Training (ILT) to educate HR staff on the contextual and actionable features unique to Workday. 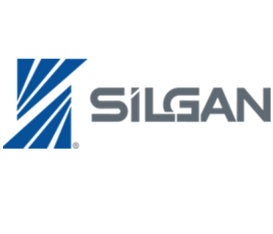 Because iLearnERP also coordinates Silgan’s Cloud LMS application, the team smoothly transferred all Workday course content to the LMS. Silgan HR personnel will be able to utilize HCM software that connects real time action and analysis across the company. The overall training solution we developed for Silgan is an example of our flexibility when training on customized cloud adoption solutions for multi-layered organizations.